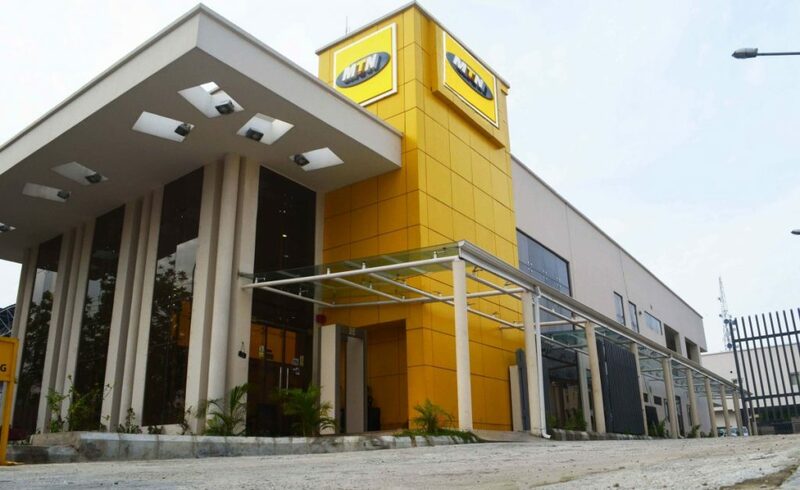 MTN Nigeria has denied its involvement in the alleged illegal repatriation of dividends worth $8.1bn between 2007 and 2015. This came as the shares of MTN Group plunged by 25 per cent to a nine-year low on Thursday, a day after the Nigerian arm of the business was ordered to return the funds that the Central Bank of Nigeria said was illegally repatriated with the help of its bankers. The telecoms company through its Public Relations Manager, Funso Aina, on Thursday, acknowledged the receipt of a letter from the CBN regarding the allegations on August 29, 2018. The company said it only declared and paid dividends with the Certificates of Capital Importation issued by its bankers with the approval of the CBN. “MTN Nigeria Communications Limited (MTN Nigeria) received a letter on August 29, 2018 from the CBN alleging that the CCIs issued in respect of the conversion of shareholders’ loans in MTN Nigeria to preference shares in 2007 had been improperly issued. As a consequence, they claimed the historic dividends repatriated by MTN Nigeria between 2007 and 2015 amounting to $8.1bn needed to be refunded to the CBN,” he said. The company said the issues regarding the CCIs were object of investigation by the Senate in 2016, adding the findings by the Committee on Banking, Insurance and other Financial Institutions indicated that it did not contravene forex laws. “In September 2016, the Senate mandated the Committee on Banking, Insurance and other Financial Institutions to carry out a holistic investigation on compliance with the Foreign Exchange (monitoring and miscellaneous) Act by MTN Nigeria & Others. According to the Aina, the company is committed to good governance and will abide by the extant laws of the Federal Republic of Nigeria. Meanwhile, Reuters reported on Thursday that the MTN shares closed down 19.41 per cent at 86.50 rand, after touching 80.61 rand, a level last seen in 2009. The money is more than half of the MTN’s market capitalisation, and analysts said the demand risked further undermining Nigeria’s efforts to shake off an image as a risky frontier market for international investors. The CBN also alleged that MTN used improperly issued certificates to convert shareholders loans in its Nigerian unit to preference shares in 2007. As a result, dividends paid by MTN Nigeria to the parent company between 2007 and 2015 – amounting to $8.1 billion – were deemed illegal, and should be returned. This sanction on the telecommunication company with the highest market share in Nigeria came two years after MTN agreed to pay more than $1bn for three years to end a dispute in Nigeria over unregistered SIM cards. The company also agreed to list on the Nigerian Stock Exchange, which its executives said would be concluded by the end of the year if market conditions are appropriate. Diamond Bank Plc, in a statement signed by the Company Secretary, Uzoma Uja, said it was in touch with the CBN to ensure amicable resolution of the issue and that it would not in any way affect its banking operation. Uja said, “We note that these foreign exchange transactions occurred between 2001 and 2006 and currently, we are cooperating with the apex regulator to ensure that this matter is resolved. Stanbic IBTC Holdings Plc also said in a statement that it had been informed by its banking subsidiary – Stanbic IBTC Bank Plc − that penalties had been imposed on it by the CBN, pursuant to a review of transactions relating to the remittance of foreign exchange on the basis of certain “irregular” capital importation certificates issued to MTN Nigeria. It said the bank was holding further engagements with the CBN in relation to the issues raised. While the Standard Chartered Bank Nigeria said “we are unable to provide additional information at this time due to our ongoing engagement with the regulator; we look forward to a rapid resolution and satisfactory outcome to this matter,” the Citi Bank declined to say anything concerning the issue. Speaking on the development, the Head, Department of Finance, Nasarawa State University, Prof. Uche Uwaleke, said beyond the fines imposed on the affected banks, it was necessary that the Economic and Financial Crimes Commission be involved to fish out those who compromised the system to perpetrate the use of fake Certificates of Capital Importation. This, he noted, would help to provide credible evidence that would be used to prosecute individuals or firms that aided the banks to perpetrate the illegality. He said, “By sanctioning the affected banks, the CBN has demonstrated that the country’s financial markets have laws which must be complied with by all participants. The scale of the infraction could not have been possible without collaborators both from within the deposit banks and the CBN.